The History Dish: Lebkuchen with How-to Video! Lebkuchen are tradition German spice cookies and I made them because the talk on Tuesday will focus on the Tenement Museum’s new tour Shop Life, which features a recreation of an 1860s German beer hall and the tenement kitchen of the family who ran it. If you would like to find out more about the talk, and see how lebkuchen are made (hint: kirschwasser, candied citron, 2 oz of cinnamon…and more) watch the video belo! The video is introduced by Dr. Annie Polland, VP of Education at the Museum, and my bit starts at two minutes in. 1. In a large saucepan, combine honey and brown sugar. Heat over medium, stirring occasionally, until it begins to bubble and rise to the top of the pan. Add almonds and allow to cook for five minutes. 2. Remove from heat. Add candied fruits, lemon zest and spices, stirring to combine after each addition. Add kirschwasser, then baking powder, and mix to combine thoroughly. Gradually add flour until the dough is thick but not crumbly. You won’t use all of the flour. 3. At this stage, the dough should still be slightly warm. Either press dough into a shallow baking pan, or roll out on a heavily floured board 1/4 inch think. Cut into long strips, about as wide as a biscotti, and place on a baking sheet. Allow to sit out overnight. 4. If you are baking the lebkuchen in a pan, bake for one hour at 350 degrees. If you have rolled them thin, then 30 minutes at the same temperature will do. Cut into sqaures immediately after they are removed from the oven. Good lebkuchen are supposed to sit around for a couple months after you make them. Even in modern recipes, there are often family traditions of letting them get stale before consumption. These lebkuchen are not only great fresh, but perfect with a cup of coffee. Events: Masters of Social Gastronomy: The Flavor Battles! Our next MSG lecture is on Tuesday, March 27, and it’s going to be themost epic yet, as we take on the history and science of imitation ingredients. There’ll even be a sample-heavy showdown where you get to definitively decide if there’s any difference between artifical and natural flavorings. As for the lectures, Sarah will explore the history of artificial food, starting with medieval feasts obsessed with disgusting foods like “meat pitchers.” After a trip to the 19th century to explore theearliest artificial flavorings, we’ll visit the “Poison Squad,” a team of early 20th-century chemists who tested the safety of food additives by ingesting them in large quantities. You have to be there. RSVPing helps us know how many free samples to bring. RSVP HERE. Origin of a Dish: What Was So Great About Sliced Bread Anyway? 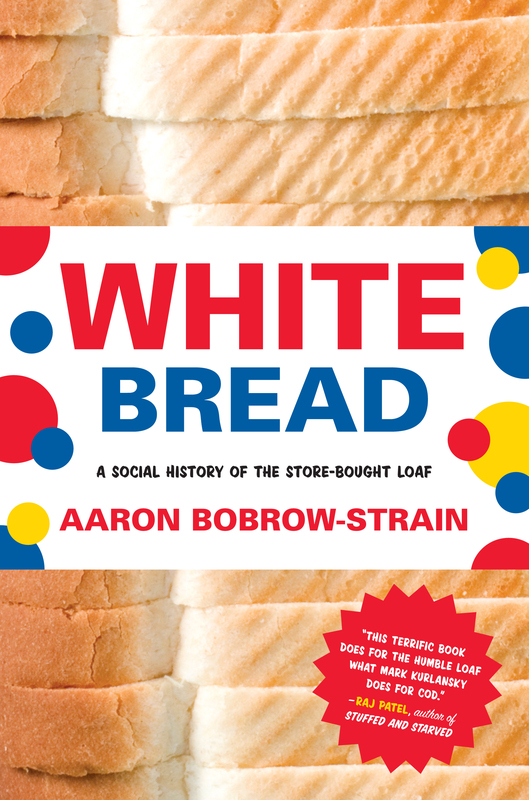 We’ve got a guest blogger on FPF this week: Aaron Bobrow-Strain the author of the new book White Bread: A Social History of the Store-Bought Loaf. Below, Aaron gives us a little teaser history of sliced bread and the reactions it garnered when it was first released. When Frank Bench, the owner of a nearly bankrupt bakery, and his friend Otto Rohwedder, an equally down-at-the-heels inventor, successfully ran the world’s first automatic bread slicer in Chillicothe, Missouri, they accomplished something nearly every member of the American baking establishment thought impossible—and utterly stupid. By July 1928, when Bench and Rohwedder’s surprising product debuted, retail bakers had used machines to slice loaves at the point of sale for years, but few in the industry believed that bread should be automatically sliced as it came off the assembly line. Bread was too unruly. What would hold the sliced loaves together? How would slicing affect the chemistry of taste? What would prevent sliced bread from rapidly molding or staling? Rohwedder’s designs for the automatic slicer dated back to 1917, but he found no takers for the idea and had almost given up hope. For Bench, installing the machine was a favor to his friend and a last shot in the dark. What did he have to lose? The results astounded all observers. Sales of sliced bread soared 2000 percent within weeks, and a beaming Chillicothe Constitution-Tribune reporter described housewives’ “thrill of pleasure” upon “first see[ing] a loaf of this bread with each slice the exact counterpart of its fellows…indefinitely better than anyone could possibly slice by hand.” News spread rapidly. Sliced bread took off first in Missouri,Iowa, and Illinois, then spread throughout the Midwest by late summer 1928. By fall 1928, mechanical slicing had hit New York, New Jersey, and the West Coast. By 1930, 90 percent of all store-bought bread in the country was automatically sliced. Some bakers dismissed sliced bread as a fad, comparing it to other Roaring Twenties crazes like barnstorming and jazz dancing. Nevertheless, as bakers wrote in frantic trade magazine articles, anyone who resisted the new technology would be crushed by the competition. He had a point. How much extra work is it really to slice your own bread? 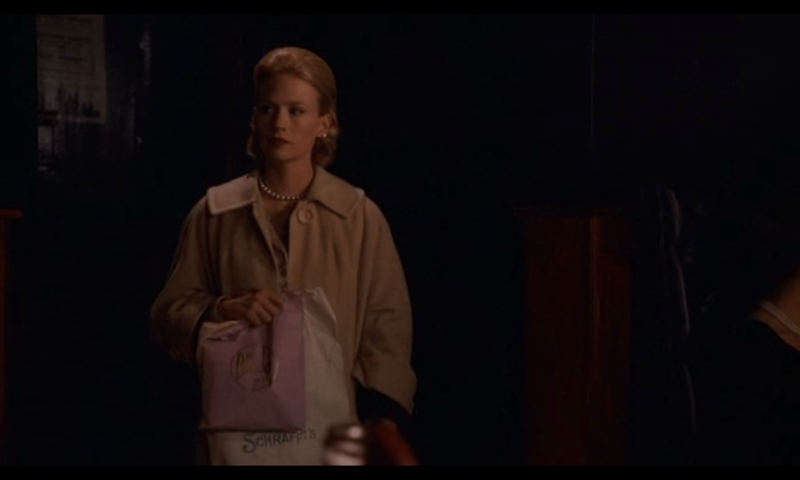 And what about housewives’ “thrill of pleasure”? A little saved labor couldn’t explain a reaction like that. Why did so many people care so much about perfectly neat slices? What had sliced bread come to symbolize? Aaron tracks down the answers to these questions in his new book, and the answers will surprise you. He says “…It may get you thinking twice about our own confident visions of what counts as ‘good food. '” Ok, my interest is piqued. But I want to throw this question out to you, readers: What do you think was/is so great about sliced bread? Where: Brooklyn Brainery, 515 Court St., Brooklyn, NY. We’re having a pancake breakfast! With games and a craft fair and fancy-pants pancakes.You’re all invited to come on down to the Brooklyn Brainery for a good old fashioned craft fair and pancake breakfast. We’ll be cooking up pancakes, all you can eat style, from 11-3pm or so, with plenty of OJ and coffee to wash it all down. Admission includes breakfast, games (and prizes! ), and the chance to hang out with some other really nice people.Get your tickets in advance,we likely won’t have any at the door.Why? Buzzards, obviously. Hinckley, Ohio is a small town with a bizarre holiday: Buzzard Day. The legend of this festival stretches back nearly 200 years, to the great Hinckley Hunt of 1818. Hinckley was a new settlement and the menfolk decided a massive extermination of any and all nearby predatory animals was necessary for their safety and survival. Because of a sudden freeze, they were forced to leave behind piles of rotting bear, wolf, and bobcat carcasses all winter. But when those rotting corpses thawed in the spring, magic happened: flocks of turkey vultures descended upon the small town to devour the fetid flesh. To this day, buzzards still return to Hinckley on March 15th. The following Sunday is affectionately known as “Buzzard Sunday” and draws a crowd of thousands to the local elementary school for all you can eat pancakes, games, and crafts. I’m cooking historic pumpkin cornmeal pancakes! The legend of Buzzard Day may not be true, but this festival is the real deal. And this year, we’re starting the tradition of Brooklyn Buzzard Day. It will be the best. Get your tickets here. Hello all! I just moved to a beautiful new apartment in Sunnyside, Queens. I’m not going to have internet access for a little while, so the blog will be on break for the next week.